VICTORIA -- Forest industry leaders from British Columbia are continuing a trade mission to China without provincial government officials, who are cutting short the trip to Asia as a court case involving a senior executive of Huawei Technologies unfolds in Vancouver. Susan Yurkovich, president of the Council of Forest Industries, said Monday long-standing business relations with China are separate from legal issues involving Meng Wanzhou, the chief financial officer of the Chinese telecom company, who was arrested in Vancouver and has applied for bail. Yerkovich made the comments in a telephone conference call from Tokyo as she was preparing to leave for China. "We are looking forward to moving forward to China," she said after the B.C. delegation's stops in South Korea and Japan. "A large business delegation is heading over there to continue on with the meetings we have set up. As you probably know, China is our second largest market after the United States." Almost 30 per cent of B.C. 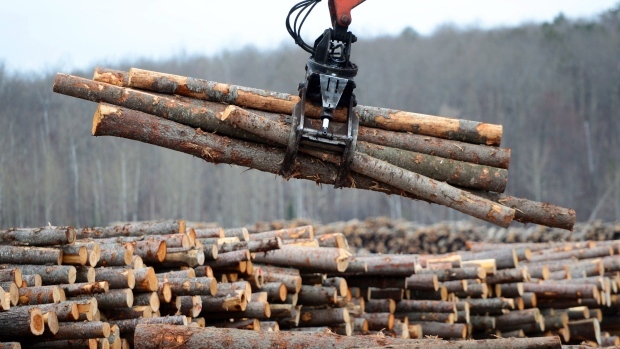 's wood exports are sent to China, said Yurkovich. She said the business leaders view the court case as "separate from business." Meng Wanzhou was recently detained while changing flights in Vancouver. The United States alleges Meng tried to evade American trade sanctions on Iran. Meng has denied the allegations through her lawyer in court. The Chinese government warned Canada that if Meng is not released, the country will face "grave consequences." Donaldson, who was also in Tokyo, said he decided to cut short the planned trade trip to China after consulting with federal, provincial and diplomatic officials. "This is a decision we don't take lightly, but it's based on the current set of circumstances," he said. "This is simply a prudent decision we take very seriously. We felt that under the circumstances a government minister joining a group of business people would add a different dynamic. It was ultimately my decision on the ground here." Donaldson said efforts will be made to reschedule a trip to China in 2019.